Three weeks ago I moved to the beautiful state of Texas! I now see what all the hype about Texas is. Once you come, you do not want to leave! We absolutely love it so far! In the last 9 years of my marriage we have moved 8 times and to 5 different states. Needless to say I feel like I might be a professional when it comes to moving! Ha Ha! No- I’m really not a professional but I have had more experience in moving than most people in a short amount of time. First we are going to start with the moving truck. We have moved with a moving truck 3 times. Here is my experiences when moving with a moving truck. 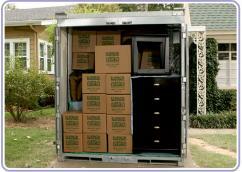 Getting a moving truck is probably the least expensive way to move. But remember that when you get the truck, you do have to pay for gas which can be expensive! Especially if you are moving across the country. It is usually better to get a bigger truck than you think you might need. If it is too small, you have to leave some stuff behind. (Trust me – this has happened). When using a moving truck you will need someone to take you to the moving truck place and then drive your car back home. Make sure they have the correct size of truck at location you want it. If it is not, ask to see if they will bring it to the location you need. That will save you time and money. Obviously you have to drive the truck. When we use a truck we would hook my husband’s car on the back of the moving truck while I drive the children in the other car. I’m too afraid to to drive the moving truck myself so I’m in charge of the car with the children. (which also isn’t my favorite) Ha Ha! Quick note – to save a little bit of money and hassel try to find routes without toll roads! One of the good things about moving with a truck is that your items will be there the exact same time you will be there. I absolutely LOVE them. 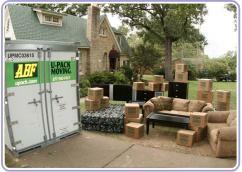 Here is my experience when moving with Relocubes. U-Pack Relocubes cost a little more than a moving truck, but for my sanity it is worth EVERY PENNY! An awesome thing about U-Pack’s Relocubes is that you can reserve as many cubes as you would like. If don’t use all of them, you aren’t charged for them. I ordered 4 and I am so glad I did! 3 just didn’t fit all of our stuff. (If you are wondering we had 3 twin sized beds, a king bed, a large couch, 3 dressers, a king bed and a huge piano.) Even the most awkward shaped items fit easily in the relocubes. Another great thing is that they deliver the cubes right to your house. We had them placed on the driveway and by our front door and it made the relocubes so much faster to load. They also sit right on the ground so it is much easier to load your items in and out. The number one reason I love Relocube U-Pack Moving Containers is because they move them for you. No moving the truck on your own. 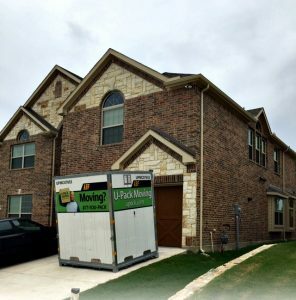 The company deals with all the heavy lifting and my husband and I take turns driving all the kids across the country and don’t have to worry if our moving truck is going to be broken in to. They held our things for 3 weeks at a very cheap price. It saved us! When we were ready for our things we just called U-pack and told them when we would like our Relocube’s delivered. They delivered them on the exact day we needed them. 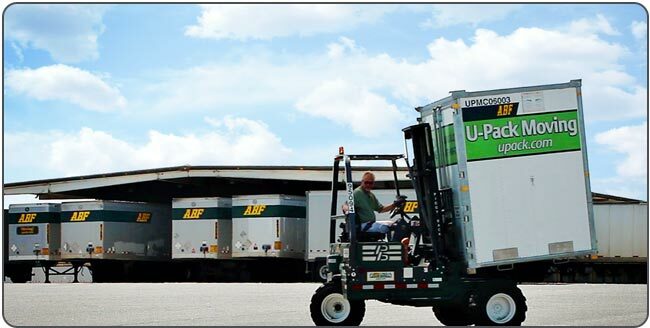 To Learn more about Relo-Cubes click HERE or you can go to Upack.com to see more of their moving options. Either way you move it will work out! Good Luck and Happy Moving! A good article. Thank you. Howdy and welcome to Texas! I 've lived here all my life . While I love to visit other states, it is so nice to come home! Hope you enjoy your time here. Welcome to Texas. It does grow on you and will be hard to,leave. There is so much to do,let me know if you need help finding things. 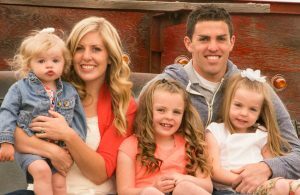 (LDS help as well) get ready for the big State Fair,coming soon.